As part of a Halloween range you normally find a good helping of spooky creations shaped like ghosts, pumpkins and other Halloween favourites. I was however pleasantly pleased to find the inclusion of this very autumnal creation. 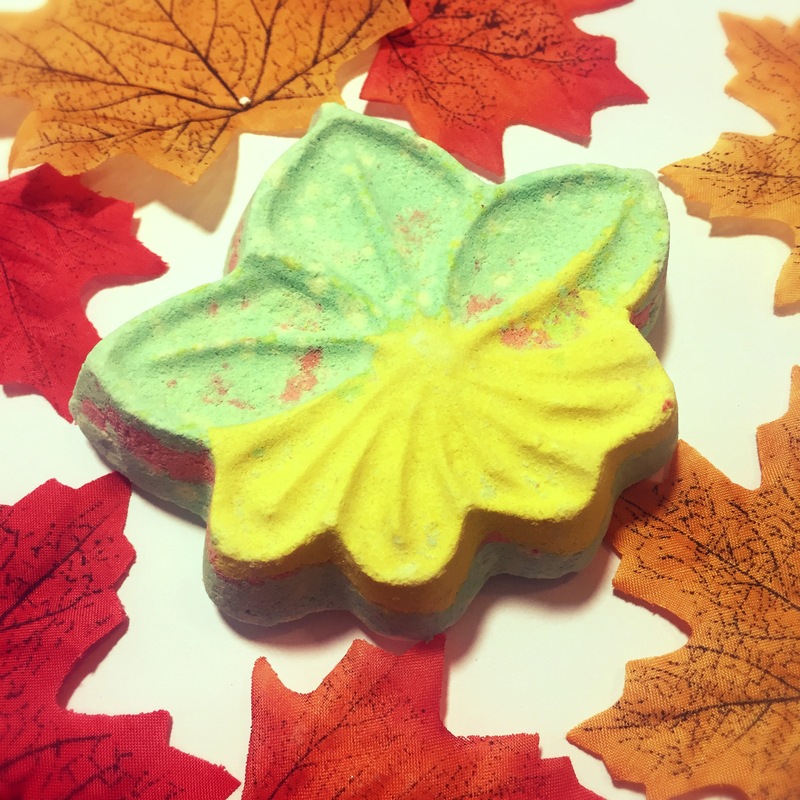 The Autumn Leaf was invented by the lush Japan team to celebrate the changing of the seasons and features a mix of reds, greens and yellows to represent the falling leafs found in Autumn. The Autumn Leaf is scented with the much loved Grass scent. This is a very fresh, natural and earthy scent. This refreshing scent is very different to something I would normally head for, as I’m usually more of a sweet scent girl. I however really like the unusualness of this scent and feel it will be lovely to use when you fancy something a little bit different. Once in the water the Autumn Leaf is a very slow fizzer. 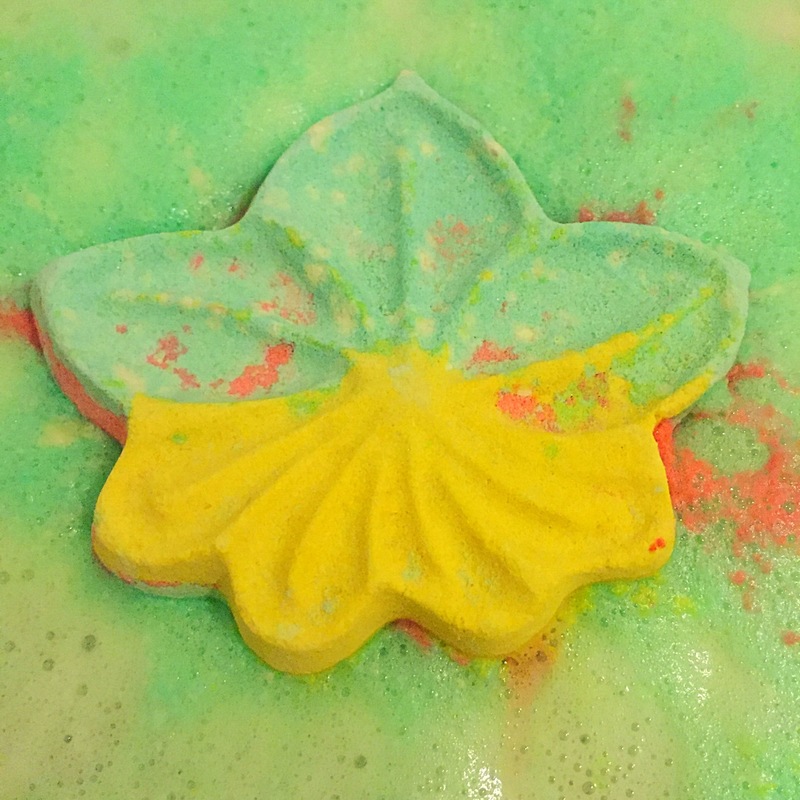 This allows the bath bomb to put on the most magical display. As the leaf floats across the surface of the water it releases an array of colourful foam, which represents the changing colour of the Autumn leafs. 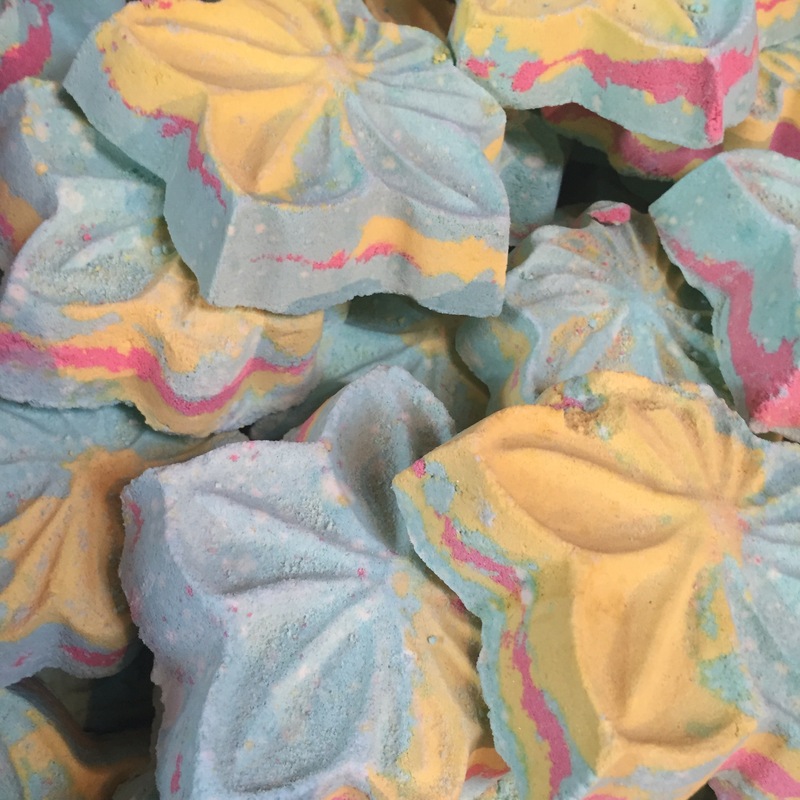 I found the scent really heighten once in the water and I could pick up on it for hours after my bath. 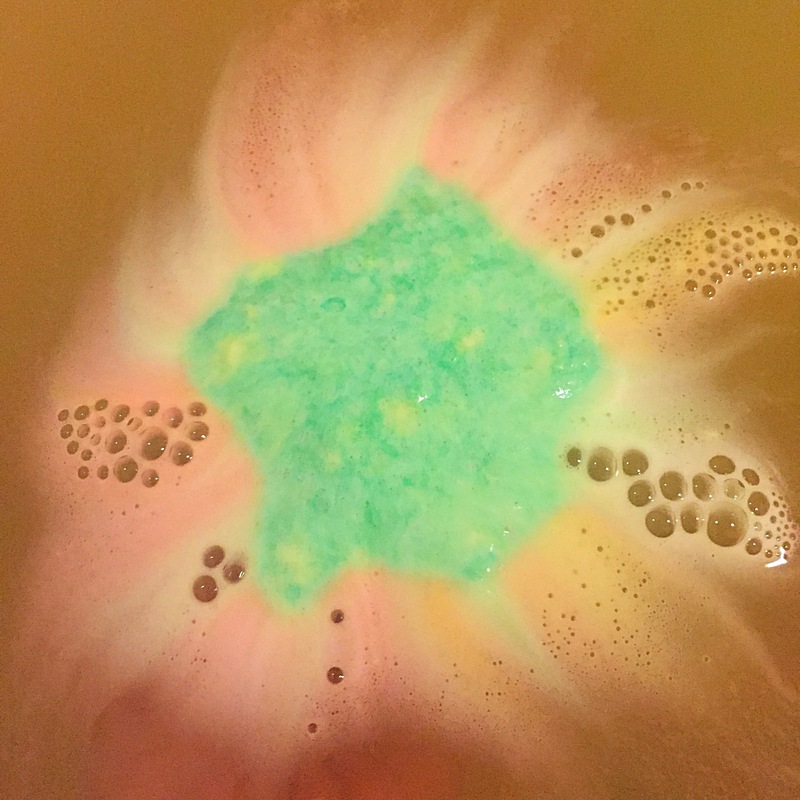 Overall I really liked this bath bomb I didn’t think I was going to be a fan of the scent. However I really enjoyed it’s crisp refreshing aroma and feel like it’s going to be a firm favourite of mine this Autumn. INGREDIENTS: Sodium Bicarbonate, Citric Acid, Fragrance, Bergamot Oil, Neroli Oil, Sandalwood Oil, Austro-Caledonicum, Maple Sap, Cream Of Tartar, Sodium Laureth Sulfate, Lauryl Betaine, Spring Green Lustre, Red 4.